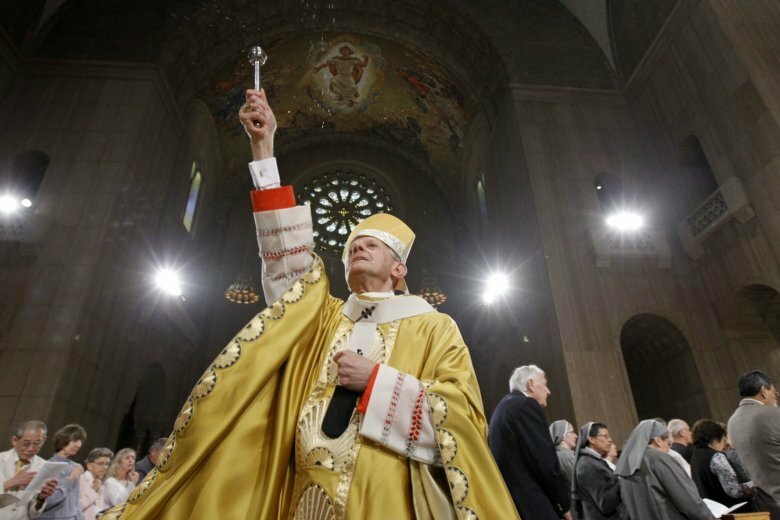 WASHINGTON — The calls from the D.C. region for official investigations into potential priest abuses started shortly after the Pennsylvania grand jury released its report alleging more than 300 priests abused children across the state for decades. Now, tens of thousands of people have signed an online petition for Maryland’s attorney general to launch an investigation into the Baltimore diocese. The Change.org petition reads: “Convene a grand jury to investigate archdiocese of Baltimore,” and, at time of publication, was supported by more than 71,000 signatures. In his post addressed to Attorney General Brian Frosh, author Kevin Turowsky wrote that the request comes in light of the recent findings of a Pennsylvania grand jury. Turowsky said the Baltimore diocese holds documents regarding sexual abuse claims against the now-deceased Father A. Joseph Maskell, who is the focus of a Netflix documentary about the 1969 killing of a Baltimore nun. “In Maryland, attorney Brian Frosh should totally investigate,” agreed Winnie Obike. A devout Catholic, Obike started a separate petition that has more than 64,000 signatures to remove Cardinal Donald Wuerl as the Archbishop of Washington. “We tell the world: ‘You, world, be perfect as the heavenly father is perfect … We hold the world to such a high standard of perfection. And then, right here, within our own church, there is scandal. And we are not going to try to be perfect in our clean up of it? I think that’s what’s rubbing people the wrong way — that’s why this petition is skyrocketing,” Obike said. Frosh’s office could not confirm or deny the existence of an investigation, or even that it is considering launching one, said Raquel Coombs, who works in the attorney general’s office. WTOP’s request to Virginia’s attorney general and the U.S. attorney’s office for D.C. were met with the same answer: an inability to provide any information about the existence of an investigation into alleged clergy abuse.